75 years ago this month, on November 3, 1943, some 43,000 Jews were gathered, shot and killed from various death and concentration camps the Nazis had set up in Poland. The SS called the action “Operation Erntefest,” which means “Harvest Festival.” Such a designation given by the Nazis themselves should give great pause to all interested parties in helping to understand the mindset of the Germans that justified such horrors during the darkest hours of World War II. This aktion concluded what was called Operation Reinhard that had made Belzec, Sobibor, and Treblinka the primary extermination centers of Polish Jewry. While countless historians, commentators and books have time and time again emphasized the industrial nature of the Holocaust, SS Nazis understood the concluding action of Operation Reinhard to be a special day on the farm comparable to an annual harvest celebration. In the twisted Nazi mind, Jewish weeds had to be eradicated from the blood and soil of Germany’s lebensraum, otherwise known as “living space.” Operation Erntefest was the single largest massacre of Jews conducted throughout the entire war. In light of such and similar facts that riddle the historiography of the Third Reich during the war, it is sometimes difficult to understand why Auschwitz has garnered so much attention relative to Holocaust studies. While Auschwitz was certainly the largest camp and murdered some 1.1 million Jews, the Operation Reinhard camps killed almost twice as many. Operation Reinhard is undoubtedly named after Reinhard Heydrich who was not only Himmler’s chief lieutenant in the SS, but also one of the most important architects of the Holocaust. Had Heydrich not been assassinated by the Czechs in June of 1942, it is difficult to say whether or not Adolf Eichmann would have risen to the prominence he later attained as the iconic figurehead of Holocaustic murder on the Eastern Front. Strictly speaking, Auschwitz was not a death camp. It was a hybrid between a concentration, labor, and a death camp all at once. The Operation Reinhard camps, however, were death camps. With few exceptions, their primary purpose was to exterminate Jews. Virtually all of the Jews who were delivered to Operation Reinhard camps were dead within a few hours. This cannot be said of Auschwitz. At Auschwitz, many Jews were also worked to death, and not a small number of them were subjected to horrific medical experiments. 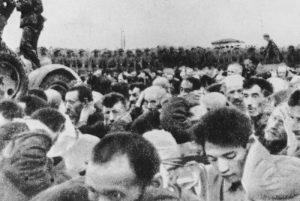 Just as important, the closure of death camps like Treblinka, Sobibor, and Belzec preceded the ending of Operation Reinhard at the “Harvest Festival.” This invariably meant that more Jewish victims would afterward find their last stop in Auschwitz instead – particularly with regard to Hungarian Jews in 1944. What, of course, distinguishes Auschwitz from the other death camps was its great size and cremation facilities that burnt up an incredible number of corpses. For example, with human ashes and smoke filling the skies in and around Auschwitz, the camp building department wrote to the Prussian Institute for Water, Soil, and Air Hygiene in 1943 asking for their expert opinion on air pollution problems and questions with regard to what they characterized as the building of a “heating plant.” When the Prussian Institute requested some more specific information on this “heating plant” of concern, the correspondence unsurprisingly died. Auschwitz also contained another sub-camp called Monowitz that was heavily industrialized that has garnered much attention. Such connections between industry and the astronomical numbers of Jewish victims that went up in smoke at Auschwitz is perhaps the primary reason why the name of this camp has become so engraved on the hearts and minds of all those who have plumbed the depths of its history. The fact of the matter is that throughout the tenure of the Third Reich, much of Europe became gradually converted into a gigantic outdoor camping complex. Countless camps—whether work, concentration or death camps—were set up for a variety of different reasons all over the European continent. In the early to mid-1930s, work and indoctrination camps were established in rural parts of Germany to help unemployed city dwellers not only to get back to work, but also get back to the land—which included university students. 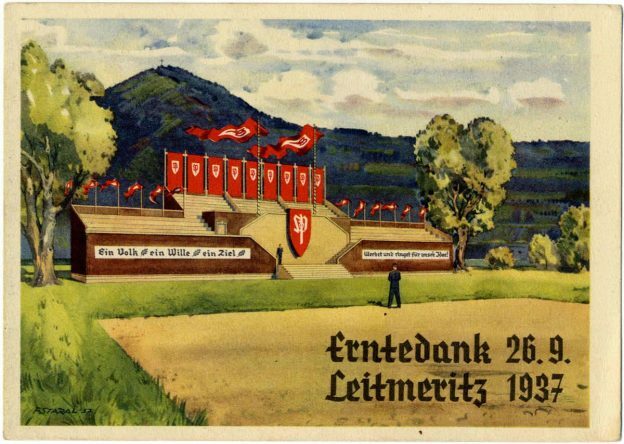 They were called on to farm the land and grow crops for the Reich, and also to help with land reclamation projects—all of which was designed to root the presumed green social economy of Germany into the soil of the fatherland. Bourgeoning concentration camps, of course, were also set up for criminals, but increasingly for political prisoners—most of whom were also required to work. During the war, prison labor was extensively used to keep the Nazi war machine afloat in the face of severe labor shortages. 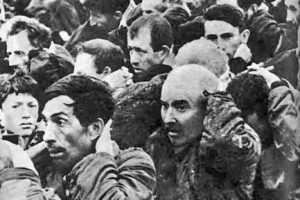 As such, and as time wore on, the concentration camp system and its slave labor became more dark, cruel, brutal and even macabre as it was inextricably linked up with eugenics, human medical experimentation and even euthanasia practices that finally reached its climax in notorious Nazi camps like Treblinka, Sobibor, and Auschwitz. Yet such harsh realities are the face of National Socialism, not modern industry. On Jan. 14, 1944, a few unruly members of Police Battalion 101, who would have most certainly been involved in Operation Erntefest, received a special reprimand for illegally poaching wild boars during the previous harvest season itself. While poaching boars was thus forbidden, hunting Jews was ordered and carried out with lethal effect – and with little conscience. Here is a little window into the Nazi mindset that perhaps needs to be looked at more seriously? How is that environmental legalism trumped the wholesale slaughter of people? Closely related, as the Nazis celebrated their “Harvest Festival,” the death camps of Belzec, Sobibor, and Treblinka were completely dismantled, cleaned up, re-afforested and converted into farms to provide green cover for its colossal crimes. Copyright November 2018 by R. Mark Musser on the American Thinker. Permission is herewith given to copy and distribute by electronic or physical means as long as it is not sold – the copyright notice is included and credits are given to the author. This entry was posted in Uncategorized and tagged Eco-Fascism, National Socialism, Nazi Environmentalism on January 25, 2016 by RMMusser21322118.